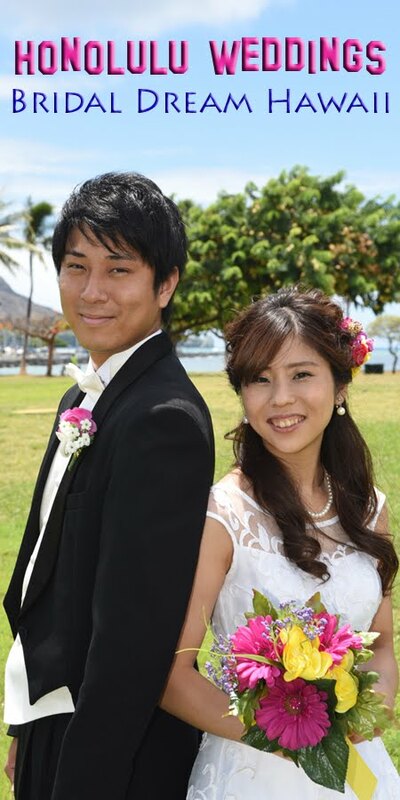 Shunsuke and Saori take a beach stroll at Magic Island after their wedding at Primarrie Church. Fun "clown pose" with a Honolulu coastline. Nice place for a break as we walk through the park. Bride and Groom can even lie down on the grass if they like. It's worth the walk through Ala Moana Park to see this marvelous view of Diamondhead in South Oahu.